I thought that my earlier blog post about Helmets and Safety would cover bike safety for the purposes of building and testing a few bikes, but safety keeps coming up while I'm out with the cargo bike talking with people, and is proving to be a major issue. 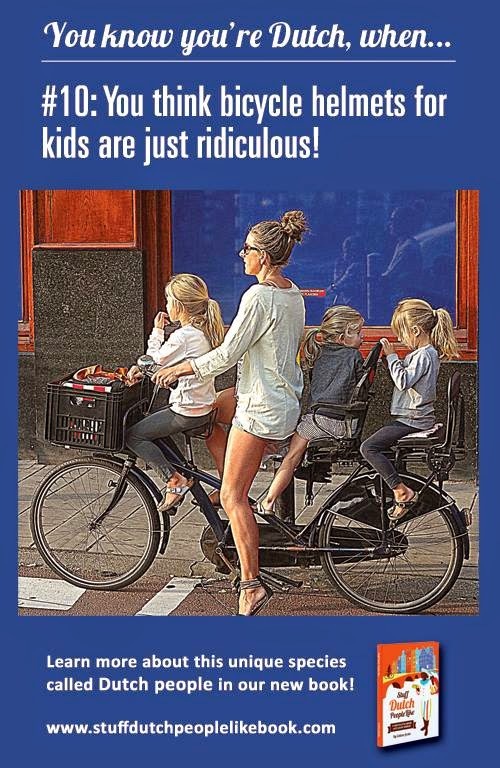 This isn't logical- we associate biking with young kids, but then feel it isn't safe for mature adults. Safety is turning out to be a long row to hoe, so it seems like I should write down some of the things I've had conversations about. 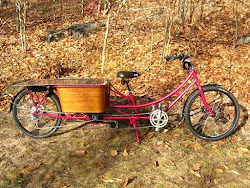 -25 mph- I often reach 22-25 mph with moderate pedaling on the bakfiets. 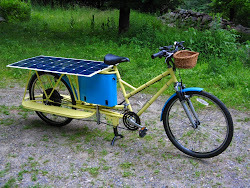 -20 mph- the federal speed limit for bicycle motor assist "when powered solely by a motor, of less than 750 watts (1 h.p. ), on a paved level surface with a 170 pound rider" (HR 727 Consumer Product Safety Act, Section 1). -5 to 15 mph- standard Oma (upright) commuter bike speed, and the speed I ride my bakfiets in closer quarters. I now like a design goal of 30 mph for the intermittent open stretches of the trip (and downhills) to raise the average speed and increase bike use feasibility, with a 750 watt motor for my steepest hills that I can't ride up right now with 500 watts. The usual traveling speeds should end up below the greatly increased chance of injury, and it will be legal (remember I hand these bikes off to other people). 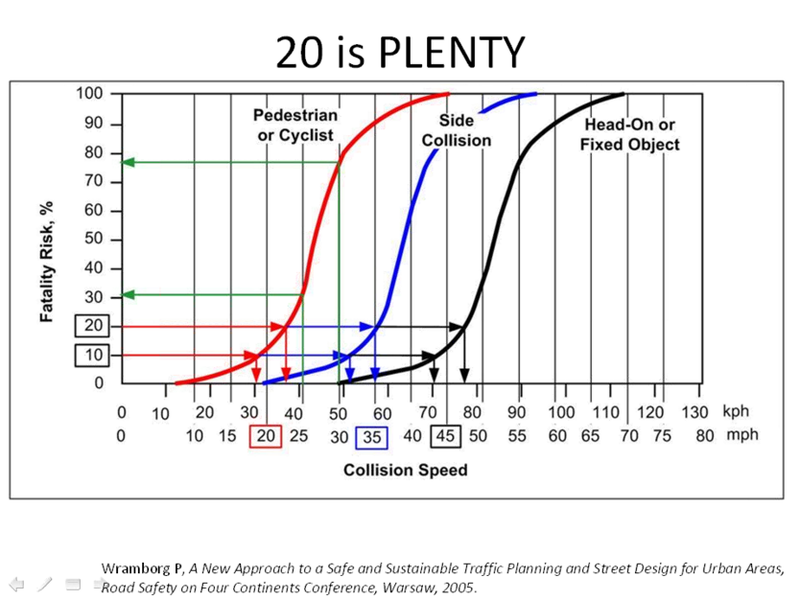 FYI- you'll note from the other two curves in the graph that being in a car increases the speed you can survive by about 12 mph for a side impact, and another 12 mph for a head on collision, which is not a lot considering all the safety equipment in a car. 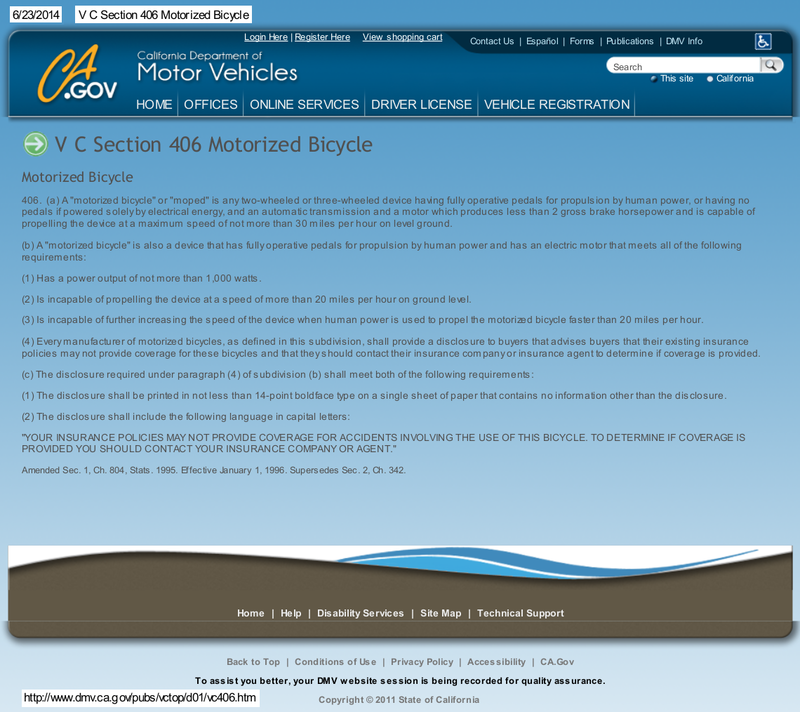 Item 3 of California V C Section 406 states: "Is incapable of further increasing the speed of the device when human power is used to propel the motorized bicycle faster than 20 miles per hour." Bekka Wright of Bikeyface.com echoes what I tried to make clear in the Helmet blog post. Helmets don't have magical powers, and there is much, much, more that is more important than a helmet in staying safe on a bike. 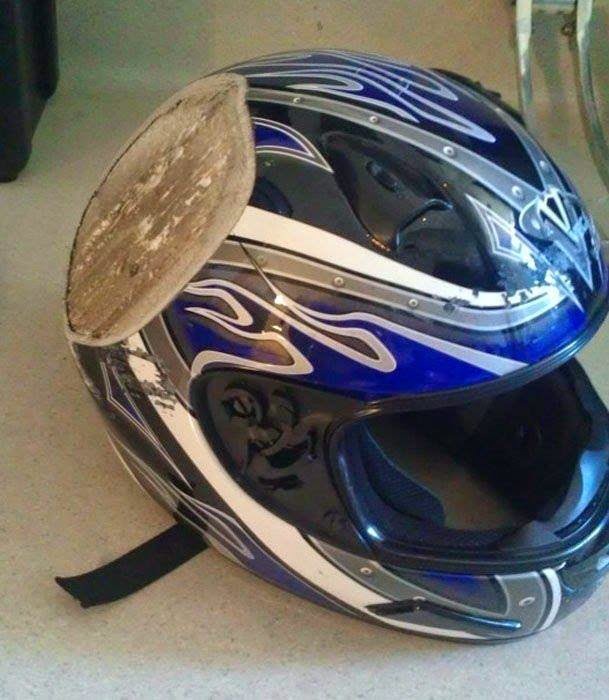 You don't put a helmet on inside a car and then expect to be safe if you drive badly. People who are concerned about biking safety (and pedestrian, child, senior, handicap, and neighborhood safety too) should spend their energy on driver training, awareness, and infrastructure. Safety is an action that all of us have to put there. Roads have been a commons through out most of human history, and only in the last 100 years have they become subservient to the automobile. Cars, light trucks, and buses probably reached 1 billion globally in late 2010 (http://wardsauto.com/ar/world_vehicle_population_110815), but bikes had reached 1 billion globally somewhere a bit before 2000 (http://www.worldometers.info/bicycles/). The gap has only gotten wider, as car and bike annual production was about equal up to 1965, but in the last 3 decades there have been twice as many bikes produced as cars, and the trend seems to be growing, (World Watch Earth Policy Institute, see my earlier Helmet and Safety post for a fuller discussion). 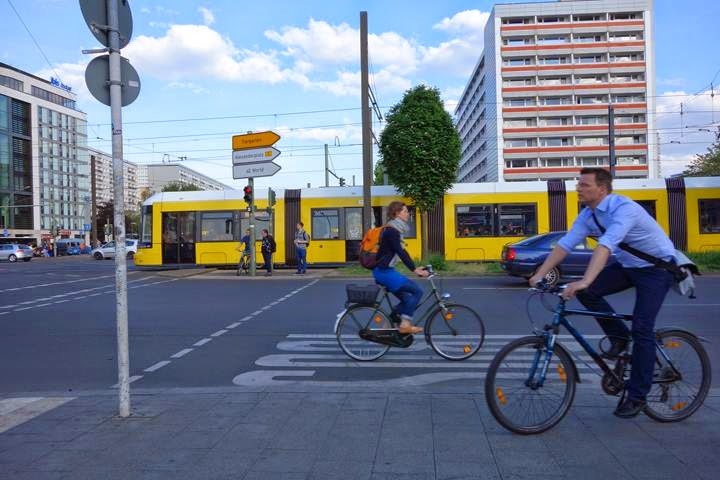 Bikes by all rights should be getting more infrastructure dollars, but for most countries this has led to public policy arguments and political funding fights instead. "This is not a war. It's a city. We should live together in peace." At an International Transportation Forum in Berlin on June 6, 2011, B.K. Chaturvedi, member of India's Planning Commission told the 800 delegates: "We in India need to provide more roads and rail. Cycling is a miniscule thing. That's not the future." Asian countries expressed the same sentiment for their developing economies, (http://www.ipsnews.net/2011/06/bike-vs-car-on-a-hot-planet/). Photo credit unknown, probably in Oregon at a festival. China is accelerating development of Electric Vehicles, but this is still bad news for resource use, congestion, and making real connections. To me increasing the number of cars is pretty much Planet Down the Tubes material. This is too big to be my fight, so I'm looking for what I can do here and now. 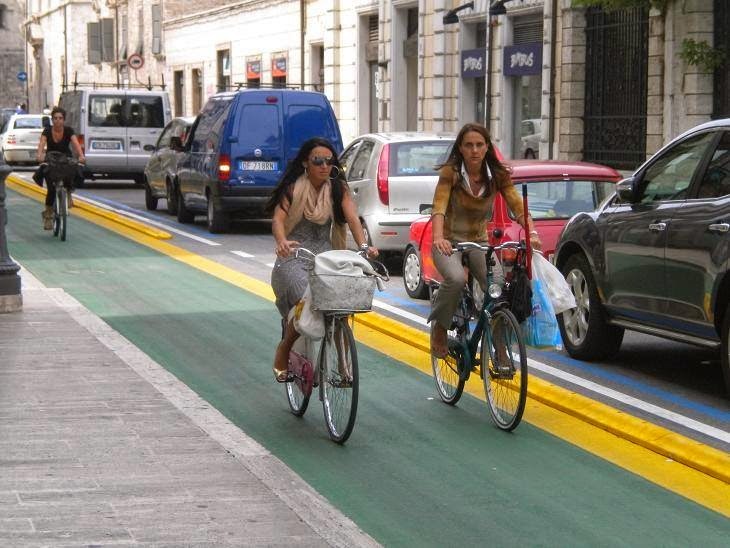 The Oregon Department of Transportation has released a good study of the effectiveness of bike lanes, Lessons from the Green Lanes: Evaluating Protected Bike Lanes in the U.S. and they find them to be very good for safety and perceived safety (i.e. convincing more people to bike). This is a good report, and I love the graphics. 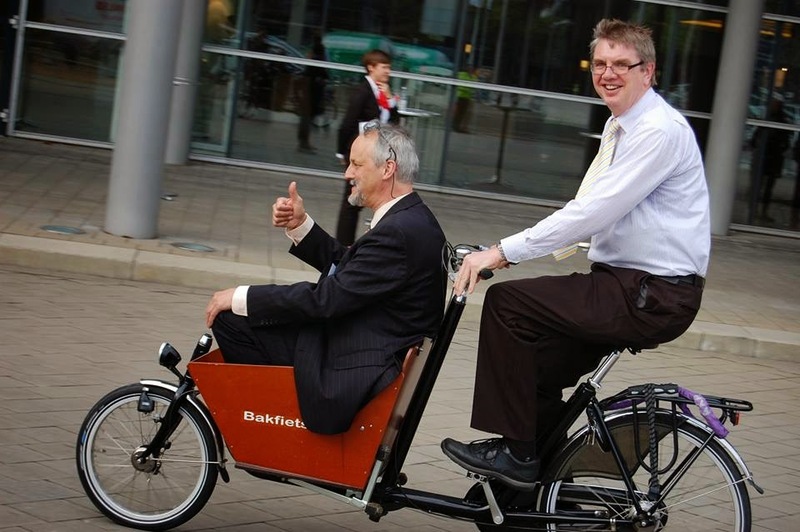 "The benefits of cycling outweigh the risks by 20 to 1." There isn't enough money to extend infrastructure to all the roads in Vermont and it is a slow process, so I think I have to work with the roads we have. I do think the infrastructure that we have in urban areas does indirectly benefit rural roads, because auto drivers get reminded there are bikes on the road. However if VT AOT could fund more bike infrastructure that would be great. Education (and repetition, repetition, repetition of it in an engaging way) are needed for all road users about how to interact with each other. I'm learning about riding for myself, and hope that agencies will spread information to other road users. My last option is making bikes work better on existing roads. I admit I am a bit biased towards the bikes I am building, because their capabilities enable me to mesh with traffic flow better than a typical sporting bike. This can be good (easy for me), or bad (it enables a transportation system built for only cars, and it doesn't do a thing for other bikes). 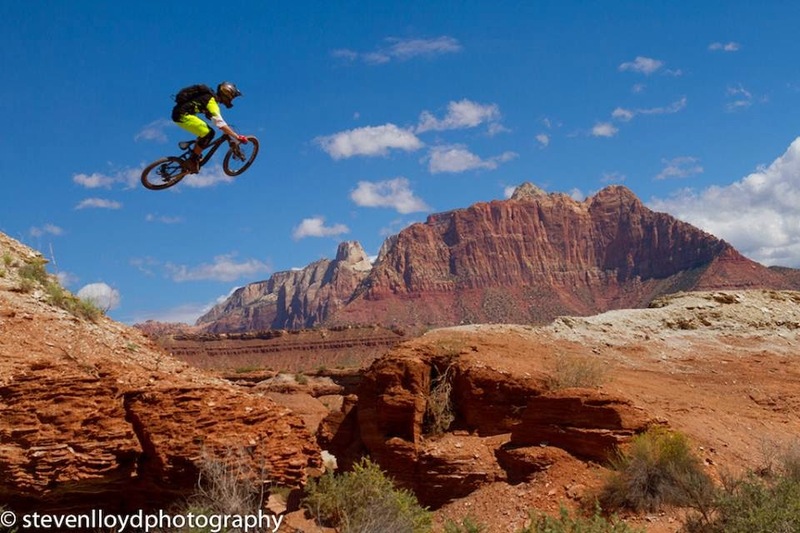 A bicycle helmet cannot do this, but it doesn't have to either. Commuting on a work bicycle is not the same thing as racing on a high power motorcycle. This is what commuter biking looks like. Tram, pedestrians, bikes, and cars. More of what bicycling looks like. Photo credit unknown. 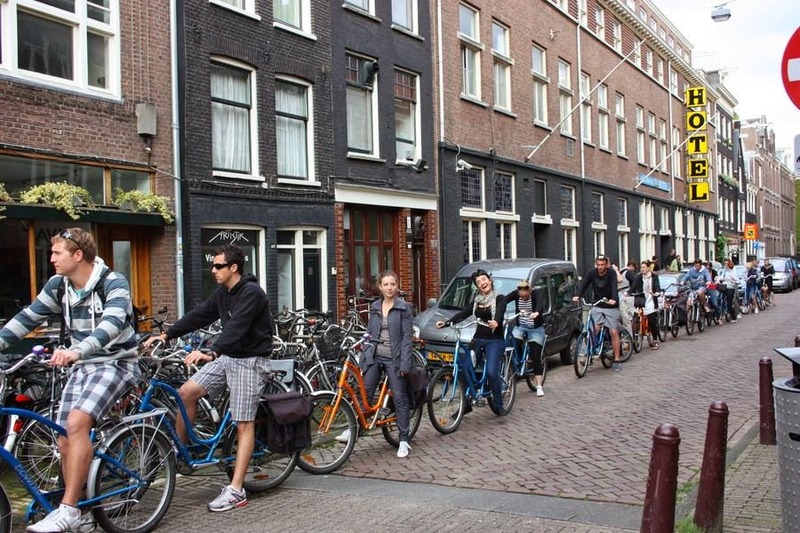 Bicyclists in Europe lined up at a intersection stop. Photo credit unknown. 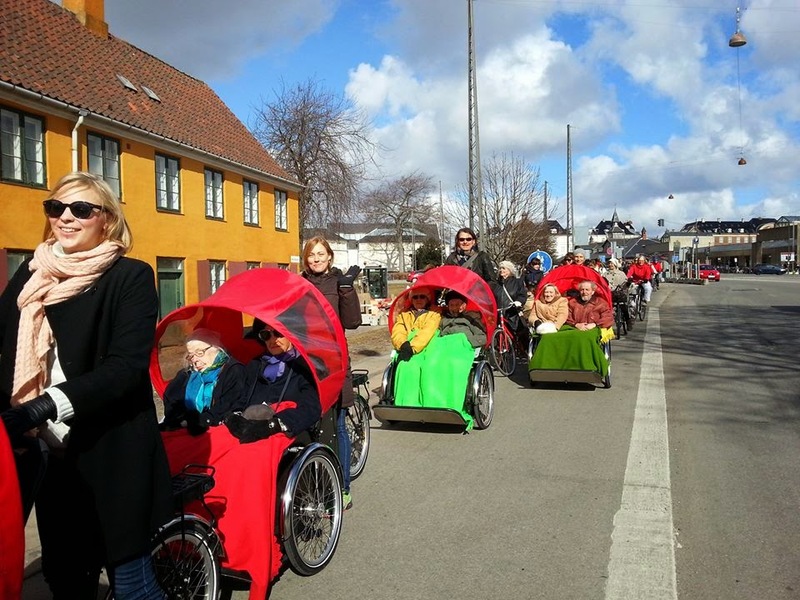 Bicycling Without Ages Program, Seniors on a ride, Oslo, Norway. Oops sorry, wrong photo. This is not commuter or work biking. Lane separation using just speed bumps, Germany. Photo credit unknown. 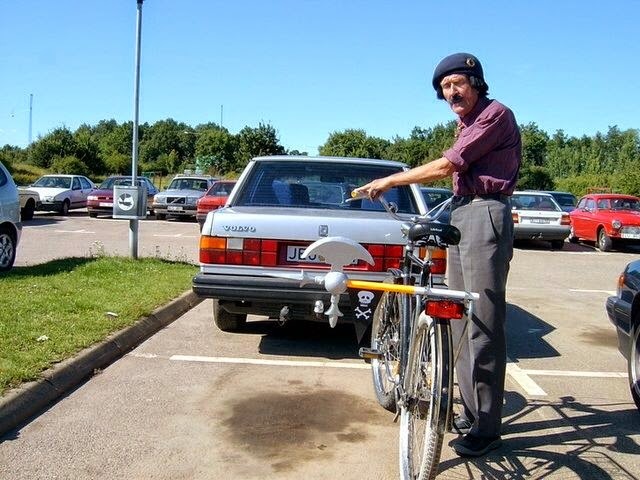 Regional Director for Mercedes in Ukraine on Bike to Work Day. Photo credit unknown. 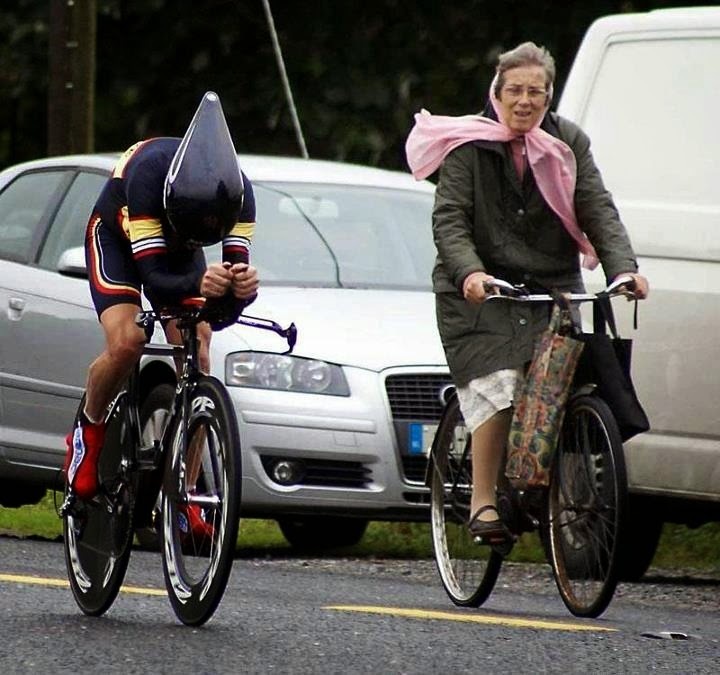 Can you spot the difference between racing and commuting? 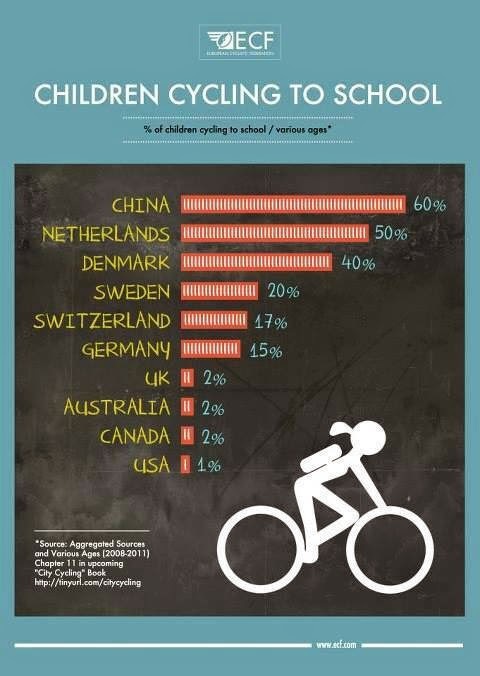 (USA, Canada, Australia, UK), have the least experience with biking? "Bicycling is legal on city streets in the United States. No laws keep motorists in their cars. This is not a situation where people's everyday practices have been disrupted by state apparatuses that govern through direct force, such as military police or an invading national power. And yet, an estimated 33,885 people died while using streets in the United States in 2009, according to the National Highway Traffic Safety Administration (2010). Of that number, 4,280 were pedestrians and 618 were cyclists, which means the vast majority of that estimate refers to dead motorists and their passengers. In the same year, an estimated 2,239,000 people were injured while using surface streets and highways. Bike advocates frame these injuries and fatalities as a design issue- with street infrastructure designed specifically for cycling in place, fewer people would drive. Instead of taking the built environment's role for granted, I chose to consider that this might be a case of discipline, the 'internalization of standards that are then enacted through bodily compliance.' (Foucault, 1977)"
I just spent a day as part of the Strolling of the Heifers parade in Brattleboro, and the following (cargo bikes) Bicycle Petting Zoo. I'm planning on writing a post about the event, but want to mention here that while I was talking to people about bikes during the afternoon, bicycle road safety was the third most common topic, after questions about first- the solar electric cargo bike I was standing next to, and second- the unusual concept of using a bike for work purposes. (The timing of this post is mainly because of those conversations.) We are a very car centered culture, and even for those who are willing to try, it is hard to see an option different than cars. There is a fair amount of uninformed fear, and also overprotective helicopter parent syndrome. The simplest change I'd make about the safety question is to reframe it as the chance of being injured in a car or on a bike, not solely about being injured on a bike, to acknowledge that you can and often do get hurt very badly in a car. But there are many other larger questions for me about the trade offs we make to be in a car. There are two other negative habitual internalizations beyond Adonia's "standards that become bodily compliance". 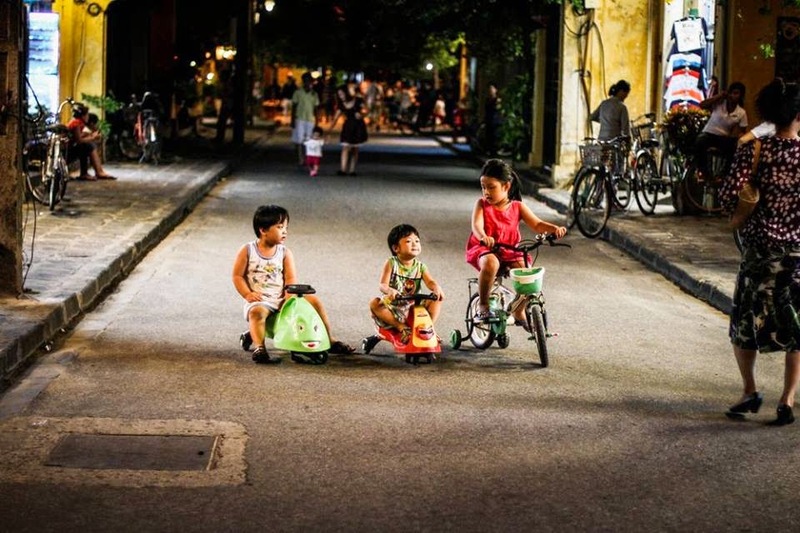 First, we all use our childhood as a reference for the state of the world, so we do not easily see the cumulative changes that cars have done to us, our society, and our environment over a hundred years. Second, we internalize the power of a car as our own power. We deny the reality of our bodies, and expect super human capacity to be normal. Our relationship with our surroundings has become abnormal. It is part of our psyche to use tools, but it seems like it is time to question our all consuming dependancy on the auto. After the Bicycle Petting Zoo I had to ride to the other side of Brattleboro, and the best route was through the center (1.4 miles) on downtown roads with continuous parked cars. With the electric assist on the bakfiets I was able to travel as fast as the cars (25 mph), with the cars accelerating away at the stop lights and then I'd catch up in a couple of hundred feet. I rode in the regular travel lanes like a motorcycle. (To some extent bikes like this make the need for bike lanes superfluous, but the catch is still taking care of all the other bikes that can't travel this fast.) The only problem was climbing the uphill out of the center with a one foot wide shoulder before the curbing. I stayed as far right as I could, but a small sedan behind me at the light just had to pass. It was pitiful, as he had the accelerator floored and wasn't traveling much faster than me, and then I had to stop and wait for him to turn at the next stop sign. He had a large error from his car centered view of the world but could not see it, and I had to deal with it. Cars were truly amazing inventions of human creativity when I was a kid in the 1960's, and I still think some car driving is very special. But with increasing Vehicle Miles Driven per capita, I have watched them become an appliance, a unit in traffic. (You are not stuck in traffic, you are traffic.) I would argue that they have moved beyond the obesity, diabetes, heart disease, pollution, asthma, sprawl and environmental degradation linked to car use, and have now become a retreat from connection with the world around us and our thoughts. 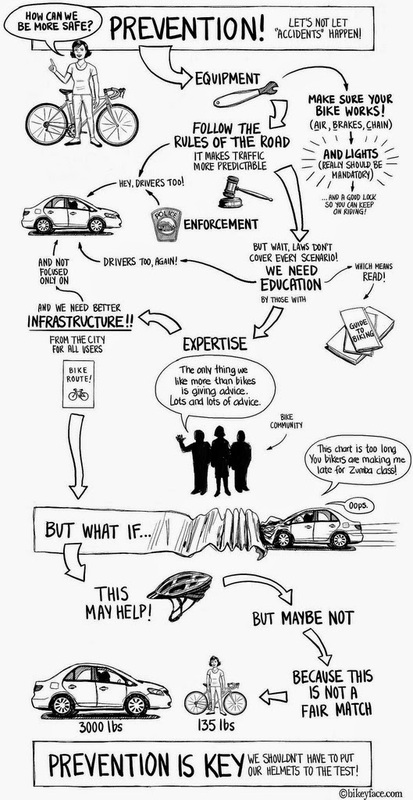 This should be enough reasons to use a car less, but most people will not be able to make a change. "This says something very important about the human condition and ethical life, that it is based on a trust in the uncertain and a willingness to be exposed; it's based on being more like a plant than a jewel, something rather fragile, but whose very particular beauty is inseparable from that fragility." Wrapping ourselves in a 3000 pound steel cocoon and telling ourselves that we are safe is a deception. Driving a 40 mile commute everyday at 65 mph is a distortion of reality. The everyday actions that we take- often just to get by- are what actually creates our world. How deeply do we wish to live? With the battery box finished, I could measure how long the frame needed to be extended and how high the rack had to be. Starting at the base of the frame the first pieces were the chain stays. 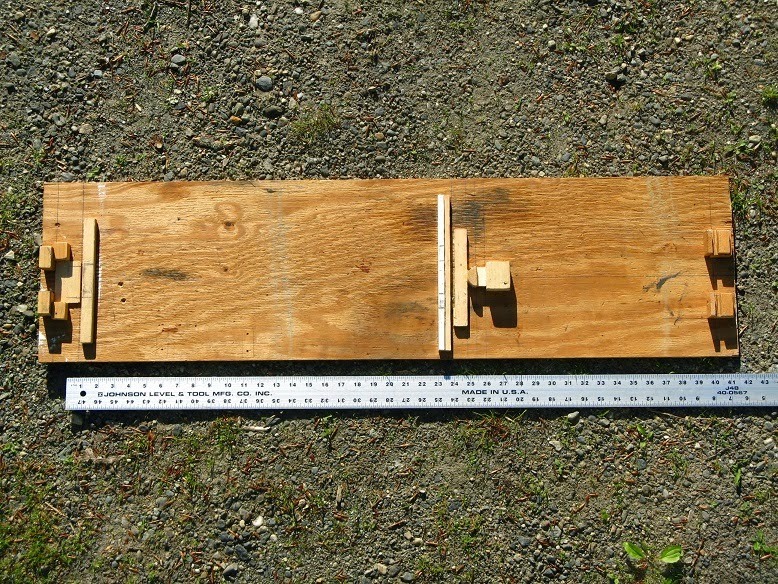 The battery box measured 17" long, 12 1/2" high, and 4 7/8" wide. I drew a side view sketch of the outline of the box, the bottom bracket and rear axle locations, seat tube, a back footrest that I think will fit 2 five gallon buckets, and the rack on top, so that I could identify the key conflict points and decide which way to shift the layout around. 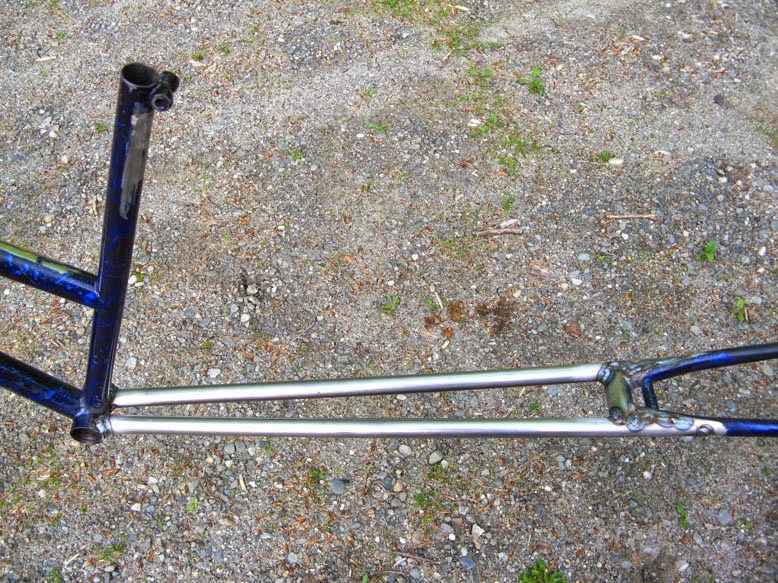 It appeared that the chainstays needed to be extended 24 3/8" to fit everything, which is almost twice as long as an Xtracycle extension kit, (but the bike would still be 1.5 feet shorter than my bakfiets). I kept the small chainstay cross brace in front of the tire for mounting a fender, but also decided to add a stronger cross brace in front of it for the new junction of framing members. Unfortunately this was too far back for attaching the new rear footrest, so I decided to seal off this tube to make it stronger by sandwiching it in between the chainstay extensions, instead of leaving it open for attaching accessories like on the Xtracycle. I made a jig to hold all the chain stay extension pieces in alignment. Starting with a 44" long scrap piece of plywood, I drew a center line and laid out the locations of the supports with a square. Trimmed blocks (I have a pile of little pieces from other projects) at the right thickness prop the pieces up and locate them side to side and front to back, and then I put some woodworkers glue on them, pressed them in place, and left them overnight to dry. In this jig the bottom bracket fits in the blocks on the left, a long bolt substitutes for an axle in the slots on the right blocks, and the new extension tube junction is propped up in the center. I forgot to take a picture of the pieces at this stage, so this is an out of sequence later photo to show how the frame fit in the jig. This is what actually came out of the jig, at this point it is tack welded together using a MIG welder, anything more would burn the jig up and reduce the accuracy. I routinely work to 1/32" (0.030"), and often lean cuts in one direction or another that brings accuracy to 1/64" (0.015"). Tighter accuracy than that is problematic as the scales on standard carpenter's measuring tapes vary in size along the tape, so you have to use other methods. However within assemblies such as the chain stay extension above, it is easy to get to 0.005 - 0.010 simply by holding the pieces up and comparing or scribing them. Wooden jigs also introduce an error, because wood moves with changes in temperature and humidity. 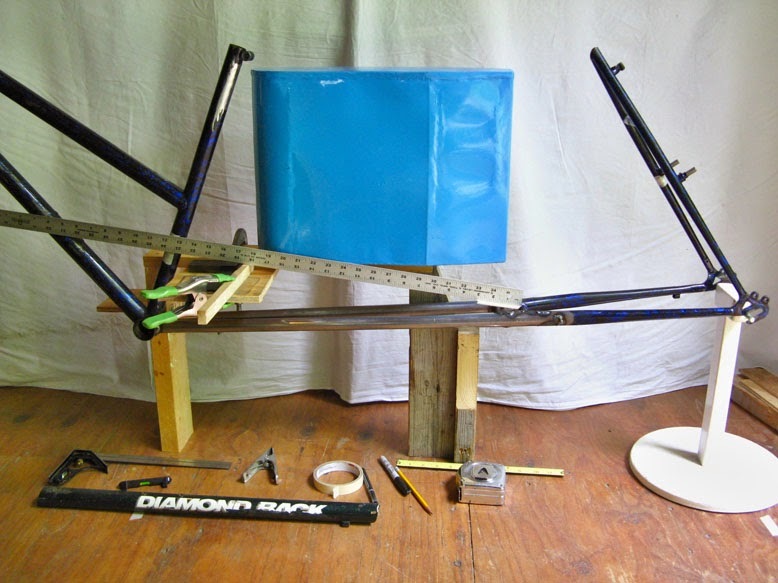 On a small jig like this for a short interval of a few days it isn't a problem, but if I were to build a series of bikes I would make a large jig where a whole frame would lay on it's side, and the jig would noticeably move. Using a composite material such as MDF helps, but still requires some adjustments on different days. (Or spend a lot more money and time to make a metal jig.) 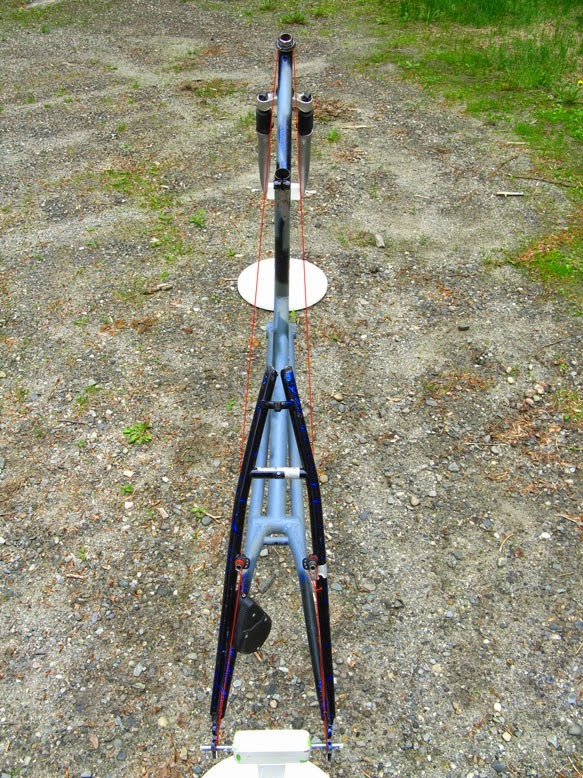 At any rate this jig is more accurate than the factory was, where the bottom bracket was 3/32" to the left side, the rear wheel tipped 5 degrees to the right, and the bend in the rear seat stays 1/4" different. If you'd like to read a bit more about handwork and accuracy, David Pye wrote a couple of excellent books a few years back- "The Nature and Art of Workmanship", and "The Nature and Aesthetics of Design". He built a semi automatic skorp to explore the interaction of humans and machines in guiding tools, and made some beautiful carved dishes to illustrate his thesis. I lined up the template center line with a line drawn on the (level and flat) floor, and then lined up the front frame section and forks with the floor line. 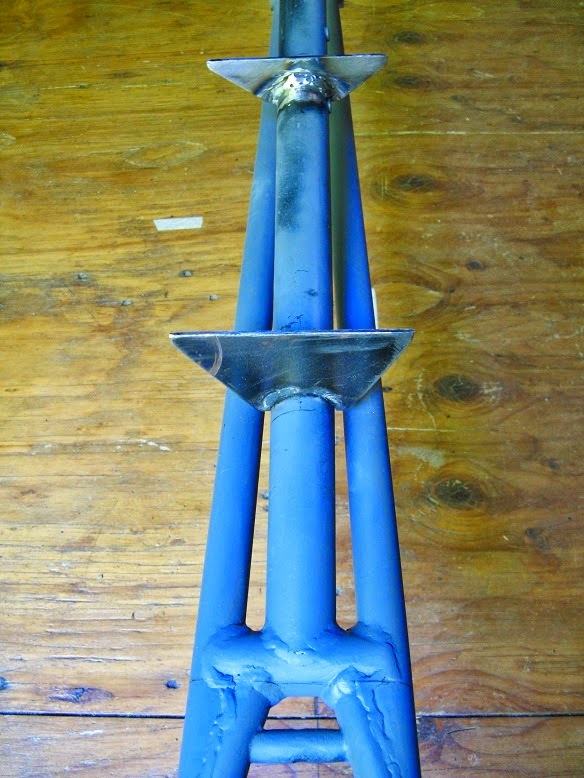 This lines up the bottom, and to keep the top straight at this stage I used a level on the downtubes, (watch out for tubes of different sizes), and a string from inside the rear dropouts to the head tube. 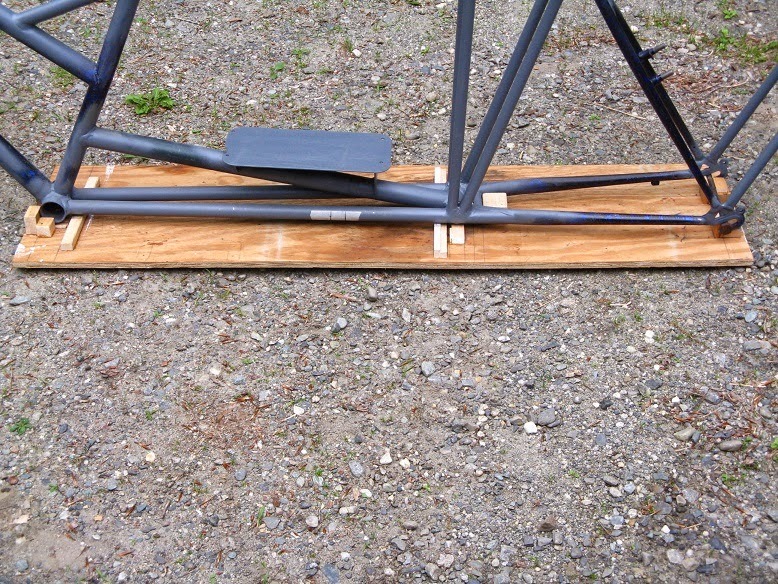 There isn't much frame at this stage to measure, but it will save a lot of trouble later on if you get this part right. I use a very fine string. In another life when I was doing woodworking, Japan Woodworker was selling ink string lines that had a very fine line, (in contrast to the usual carpenter chalk line), and I started using that line with chalk. Braided fishing line is an acceptable substitute, and for applications like this where I'm measuring and not putting down a line, I've dyed the line a bright color to make it more visible. 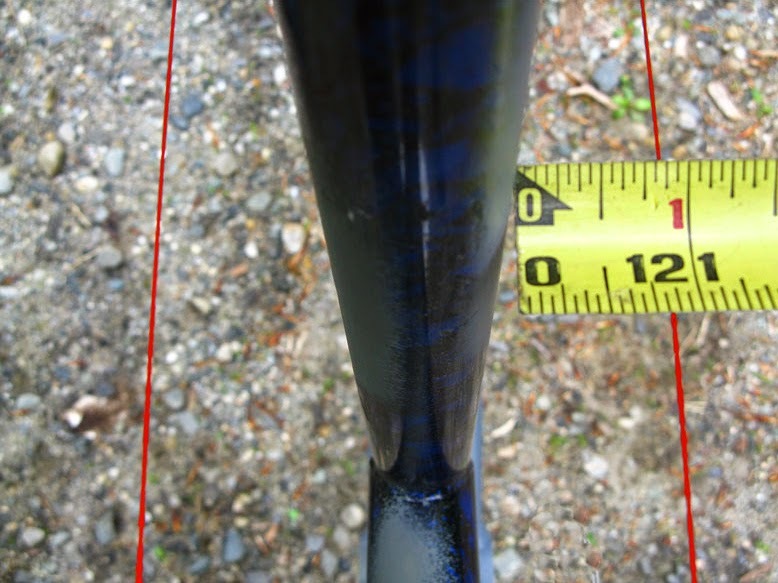 Both sides of the seat tube should have the same distance to the strings. For safety I should mention here that if you cut up your old tape measures for use as high visibility rulers, YOU MUST NIP THE CORNERS OF THE PIECES! to blunt them. They are VERY sharp, and will eventually give you a very nasty cut. 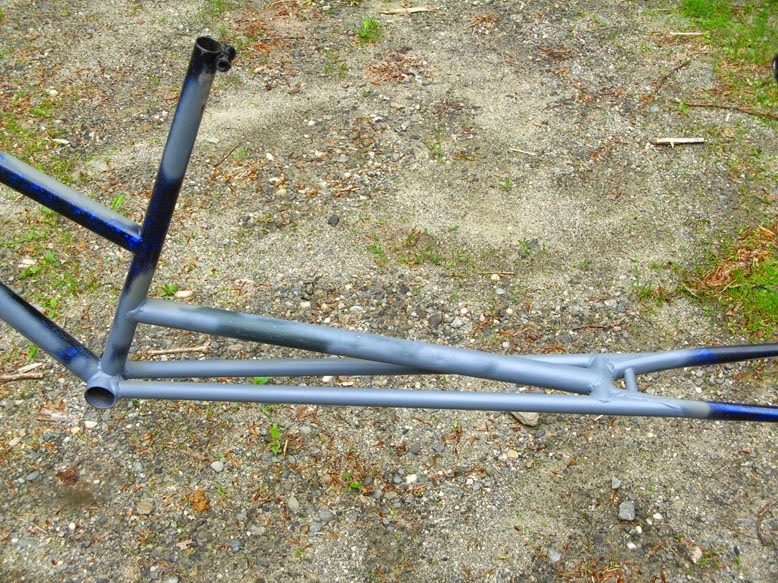 The frame needs some triangulation to make it rigid. Unfortunately the battery box is in the way, so I was able to put only one tube under the box to reduce vertical flexing. I propped up the pieces and marked out a tube location with some clearance to the front edge of the battery box. This tube ties the seat tube and the new chain stay junction together to stop upward movement of the new chain stay extensions. If this tube were all there was I would not be happy- I think eventually heavy loads on the cargo bike would bend the seat tube. However the rack and a few other stays further back will share the load to help increase strength, and should make the bike stiff enough to handle decently. Propping the bike up next to the battery box again, I measured for supports for the battery box, and cut out tabs to put on the brace tube. Across the top of the tabs is a heavier piece of sheet metal, so that the weight of the battery doesn't deform the floor of the thinner battery box. 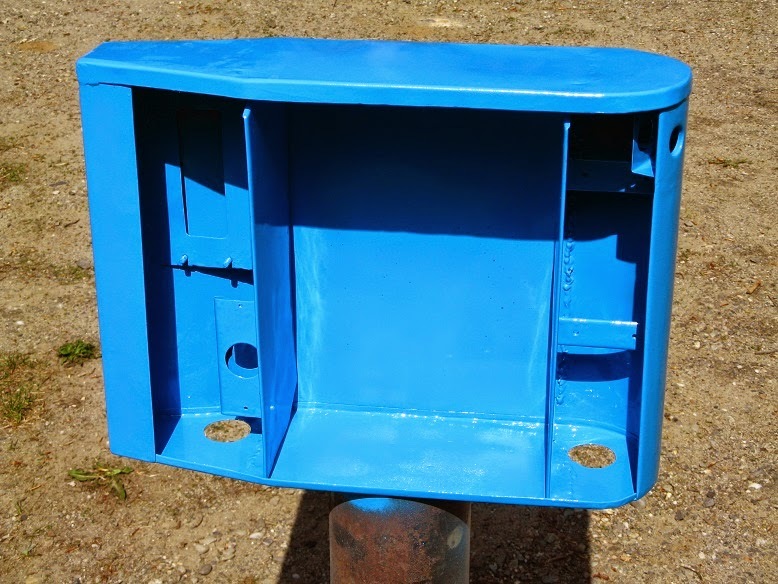 After welding this piece on, I was able to finally set the battery box in the frame, check clearances, and mark out holes for the mounting screws. 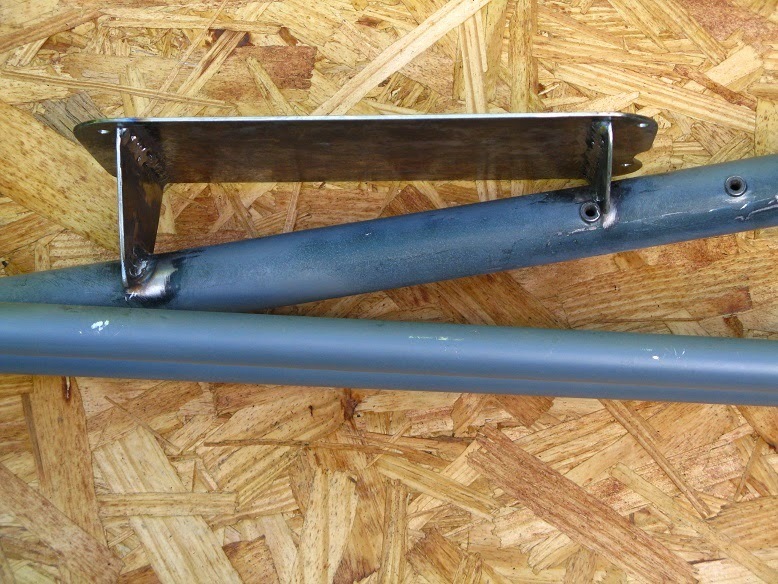 The two screw mounts in the frame tube are actually bottle holder mounts from when the tube was previously a down tube. I put them to the side for possible use in mounting a chain guard, or maybe an idler sprocket if the chain droop turns out to be too large.